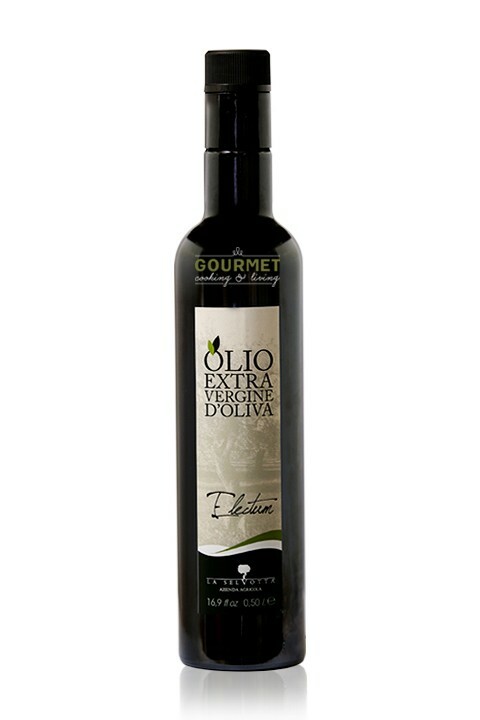 This 2017 New York International Olive Oil Competition Award Winner (Silver Award) & Slow Food "Three Olives" olive oil shows an intense, clear golden-yellow color. To the nose it expresses complex and fine notes of freshly cut grass, with hints of fresh almonds. Its herbaceous taste presents clear notes of artichoke, green tomato and sweet almond. Overall sweetness, spiciness, bitterness and freshness are in perfect equilibrium. It is excellent on vegetable and legumes soups, marinades, grilled meat and baked fish.